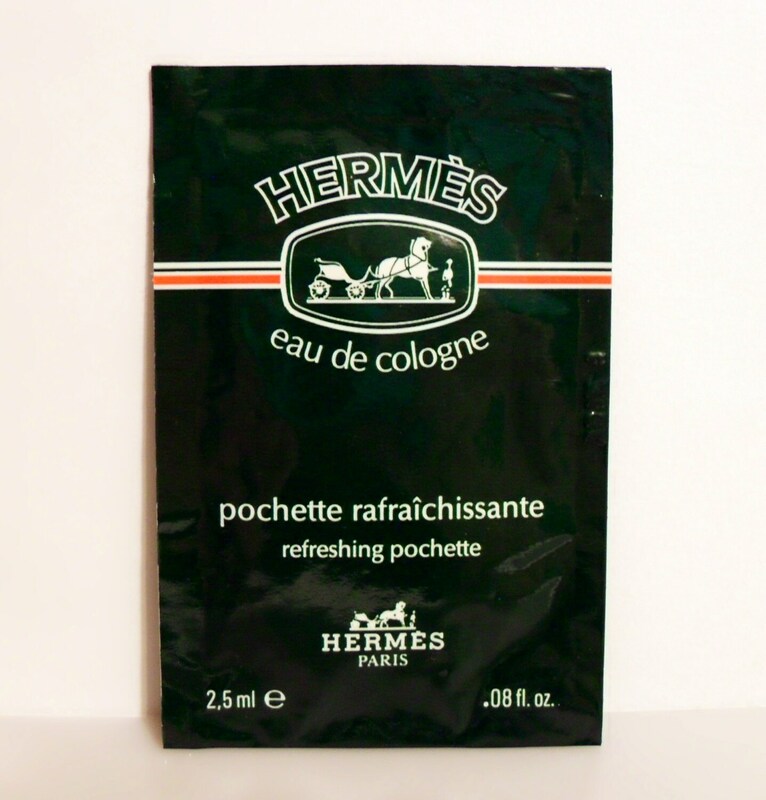 Vintage 1980s Hermes Eau de Cologne Pochette Rafraichissante Sample Packet. I believe that this is a cotton towelette that has been soaked in the cologne, meant to be kept in a refrigerator and used after exercise, travel or hot weather to cool and refresh the skin. The packet has never been opened, but I don't know how good the towelette will be to use, it is being sold as a collectible only. The perfume is old and no longer fresh. These single use sample sizes are perfect for travel or keeping in your gym bag.